This ointment provides relief to dry, scaly and itchy skin caused by psoriasis. This powerful ointment has consistently proved effective on various forms of eczema, on psoriasis, skin irritation, burn wounds, yeast infections, diaper rash, dry skin and minor wounds. GRÆÐIR was Sóley's first product and remains among our most-loved. Based on a recipe from Sóley's great-grandfather, this certified organic healing cream has consistently proved effective on eczema, psoriasis, skin irritation, burn wounds, yeast infections, diaper rash, dry skin, puffy eyes, and minor wounds thanks to its concentrated dose of our signature blend of hand-picked wild Icelandic healing herbs. Go on, give it a try and find out why it's been used and loved by generations of Sóley's family! Betula Pubescens Twig Extract (birch, wild Icelandic herb)*, Achillea Millefolium Extract (yarrow, wild Icelandic herb)*, Cera Alba (beeswax)*, Arctostaphylos Uva Ursi Leaf Extract (bearberry, wild Icelandic herb)*, Salix Phylicifolia Extract (willow, wild Icelandic herb)*, Prunus Amygdalus Dulcis Oil (sweet almond)*, Tocopherol (vitamin E), Helianthus Annuus Seed Oil (Sunflower)*. 100% of total ingredients are from natural origin, 99.8% of total ingredients are from Organic farming. Sóley Organics was founded in 2007, but its history goes back further than that. A bit more than a century, actually. Grab a seat and some coffee and cake. It's a good story. The woman behind Sóley Organics is the Icelandic actress Sóley Elíasdóttir. 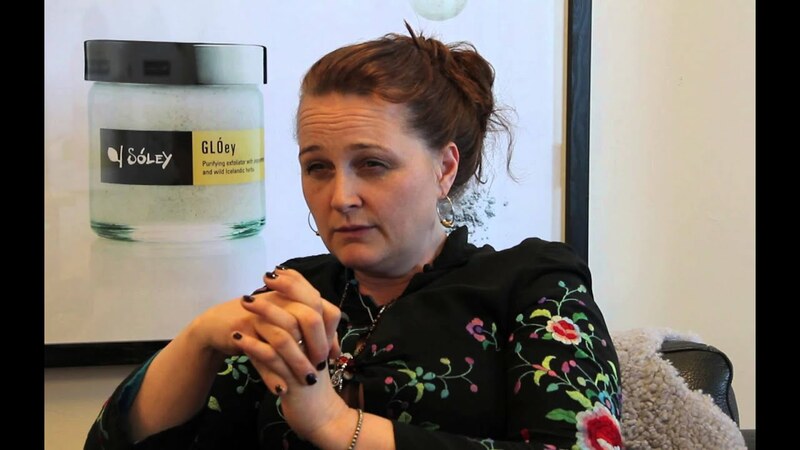 Sóley is an iconic figure in Icelandic film and theatre who has left the stage to focus on her family's tradition of harnessing the healing properties of Iceland's native herbs. Sóley's great-great-grandmother, Thorunn, was a particular inspiration to her in this. Thorunn, or Grasa-Thorunn (herb-Thorunn) as she was better known, was a famous healer and midwife. There are many stories about the lives she saved using her knowledge of herbs. There is even a story which claims that she was the first woman in Iceland to wear trousers! Thorunn passed her wisdom on to her son, Erlingur, who used it to save all twelve of his children from the Spanish Flu. Sóley wants to make sure the spirit of Thorunn and Erlingur's herbal wisdom stays alive and flourishes. Following in her ancestors' footsteps, she does her best to make her products powerful but gentle. That is to say, ingredients that are effective on all kinds of skin problems, but so harmless and natural that you could eat them. While we can't guarantee they'll actually taste good, we are very, very proud of our ingredients and production. Our ingredients and production are certified organic. Our products are then made in an adorable little village of 300 people that stands between the shores of a northern fjord and the foot of a mountain named Kaldbakur. We get water for our products from a spring on Kaldbakur that is so pure you can drink straight from it.